Using the official Prismic Node.js starter project? 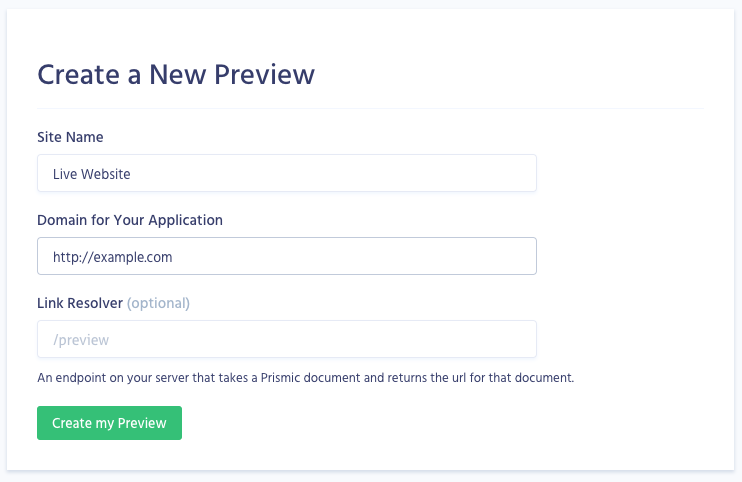 If you are using the official Prismic Node.js starter project, then you should already have all the code in place you need for In-website previews. That's as much as you need to do! This requires the use of a Link Resolver function so that the preview endpoint knows where to redirect to. You can learn more about link resolving by checking out our Link Resolver page. And with that you should have everything in place that you need to begin previewing your content!